Once the butter is melted, slowly add flour to pan. The butter should turn into almost a paste. Continue stirring to make sure nothing is burning. Slowly add one cup of milk while stirring. We want the paste to incorporate with the milk so it becomes a consistent fluid. Turn up the heat to medium-high and continue stirring until sauce thickens to a gravy consistency. Add 1 cup of vegetable stock and continue to stir until everything incorporates evenly and bring to a boil. If making non-condensed soup, add remaining vegetable stock and milk. 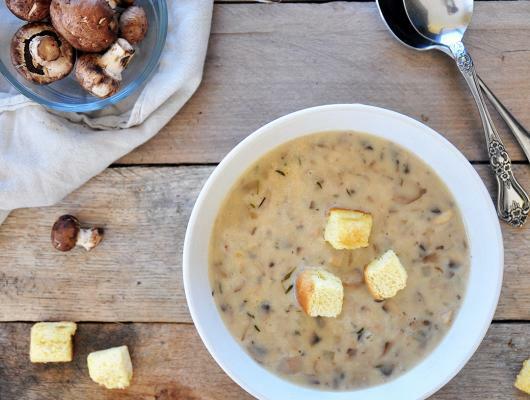 Why eat the canned stuff when you can make a simple, elegant, and flavorful version of your own Cream of Mushroom soup. 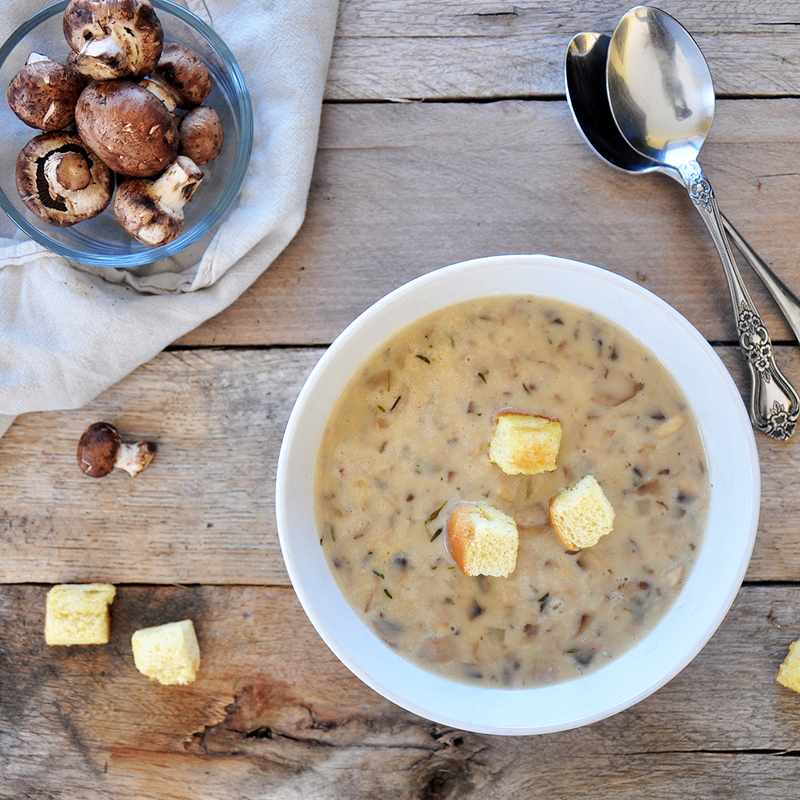 This soup is really tasty and can be used for other recipes that call for condensed mushroom soup. While I am making it in order to make a from scratch tater tot hotdish, it could be used for anything or on its own. This is a great recipe that can be used as a soup or a condensed soup.